No matter who you are and how much you earn, you need life insurance. Life insurance is a financial product that is paid out to families after a loved on passes on. During the term of the life insurance, a person pays out a monthly premium. The premium depends on several factors including age, health, and amount of the insurance policy. Since insurance is a necessity, the process of finding life insurance quotes should be as quick as possible. In order to find the best rates for insurance, you will need to get quotes. Quotes from an insurance company will give you an idea on the monthly premium that you can expect to pay to receive the coverage that you need. It is always a good idea to get quotes from as many companies as possible. Arming yourself with a number of quotes will make it more likely to find insurance that fits your budget and provides the family benefits that you deem necessary. 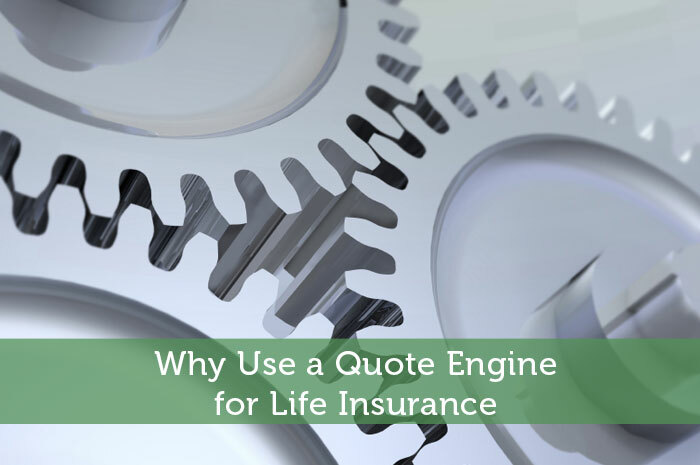 Quote engines are available to find life insurance policies. The quote engine can plug in your information and pull up policy terms and premium information for a number of different insurance companies. It is always best to use an engine rather than going to insurance companies attempting to find quotes one by one. A quote machine can offer information from dozens of companies at one time. An insurance quote engine may also feature companies that you would not have known about if you looked at insurance for yourself. This gives you access to more companies than you would when looking for insurance without the quote engine. Engines also provide a line-up of the information allowing you to compare and contrast different policies to determine what is best for you. To get the best out of the quote engine remember a few points. First, remember to put in as much information as you can. The more specific you are, the more likely that the quotes will populate correctly. Be sure to provide information, as making a mistake can cause a difference in your premiums. Double-check all information before submitting it to the engine. Once you submit the information and populate the quotes, narrow the list down to a few that interest you. Contact the companies to get more information that you may need and start the process of setting up your life insurance benefits. Good article. I’d just like to emphasize your point that the accuracy of a quote depends on the amount of information you provide about yourself. Unfortunately, a lot of life insurance quote engines produce misleading “quotes” because they only ask a handful of very basic questions such as age, height, weight, smoking, etc. A truly accurate quote is based on age, height, weight, tobacco usage, job, hobbies, driving record, and medical history. Fortunately, a lot of new resources are emerging on the internet that allow insurance shoppers to provide this information online and immediately receive truly accurate quotes. Good point Richard. There is definitely a lot that goes into life insurance prices. Many quote engines are more to get a general idea, but then the prices can vary drastically depending on those other factors. Life insurance is NOT a necessity if one doesn’t have dependents. You also won’t need life insurance if you’ve massed enough assets to live off of the interest or income they generate. I agree that you don’t need life insurance without dependents….provided you have enough assets to cover expenses if you were to die. My experience with quote engines is different. You don’t have to contact the insurance company after completing the quote, they contact you. Most of these internet-based forms feed your infomation to a lead company, who then sends them out to multiple agents, who then swamp the person completing the form with phone calls. Your comments are 100% right on. Many websites that provide so-called “quotes” are really just thinly camouflaged front-ends for lead generation companies. Getting flooded with phone calls and emails is the unfortunate result of providing this kind of website with your personal contact info. What a shame that such tactics keep a lot of people from getting life insurance. Life insurance isn’t the problem – it’s the way it’s often sold. That doesn’t sound too surprising, but I guess it depends if it’s run by an insurance company or a 3rd party. That flood of calls could be frustrating, but with good negotiating skills it could also help to get a better deal. The question is whether it is worth it. I know it may sound surprising but there is precisely zero negotiating that a consumer can do that will change either a quote or the actual cost of coverage. Without exception, quotes come from the insurance companies. Insurance agents and agencies have no say whatsoever in the price that is quoted to a potential customer. And a quote is not a guarantee of the actual cost of coverage that may be eventually offered to an applicant. The actual cost is the result of underwriting conducted by the insurance company. That’s why a quote is accurate only if the insurance shopper is first asked to provide information about their age, height, weight, tobacco usage, job, hobbies, driving record, and medical history. Ok that makes sense. I admit I don’t really know much about the insurance industry myself. When I got homeowners insurance though it was basically just choosing between the best quotes offered by each company. I was thinking the exact same thing that MoneyAhoy said. Not everyone needs life insurance. And then as others mentioned, I would be careful with insurance quote engines because they can then be the source of lots of insurance calls and spam. I suggest people take the time to research such a quote form before providing contact info. If they have led to excessive calls, you can be sure someone would be complaining about it online. The key is to work with an independent agency with which you can actually run quotes online, a good sign that its not a marketing company is if they don’t ask for(or require) personal information. Quote engines are great to give you an idea but in the end the lowest rate on the quote engine isn’t necessarily the lowest rate for you, especially if you are considered a high risk due to health or hobbies, different companies specialize in different things. Thats why i always recommend working with an experienced independent agent or agency that will know which company will offer the most favorable results.